Unleash “Hello Me” Remix Video Featuring Footage From Sold-Out 4/20 Date with Waka Flocka! Catch Oxymorrons on their Geeked Out Tour this summer! 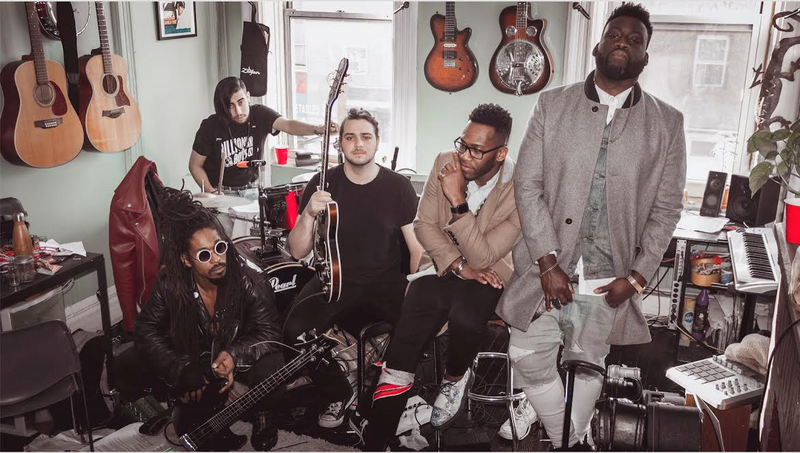 Oxymorrons began as collaboration between Queens-bred brothers, K.I. and Deee, who joined forces to cultivate a sound that modern music can no longer turn its back on. After years spent playing and touring with other groups the brothers decided it was time to set the New York scene ablaze with their sonic creations. The lineup expanded with the addition of staple drummer Matty Mayz, whose blistering talent along side bassist Joe Jordan and guitarist Adam November has become an intricate part of the bands live show. The genre-blending masterminds use their musical platform to speak for, and to, the rejected. Their message of embracing ones individuality resonates with their fellow underdogs. The potent mixture of the bands sharp-witted lyrics and mesmerizing music has earned them a legion of loyal fans and inspired collaborations with Travie McCoy, Saba, Sam Gongol (Marian Hill), Maxine Ashley (Pharrell/I am OTHER) and Wynter Gordon. Oxymorrons caught attention with their undeniable artistry and found synergy in brand partnerships with RedBull, Converse, Rocawear, DeadBolt, Karmaloop, and Modify Watches. It's their captivating live show full of non-stop energy that has music lovers entranced. The band has played many notable festivals including SXSW, Firefly, AfroPunk, Funk Fest, CMJ and have shared the stage with dynamic acts like Lupe Fiasco, Common, Ludacris, Juicy J, Gym Class Heroes, Bruno Mars, Bad Rabbits, Rihanna, Salt N Pepa, Danny Brown, and more. Oxymorrons are currently gearing up to release their new project, ‘Complex But Basic,’ in mid-2016. Over the next few months fans can expect an onslaught of ear-catching singles, imaginative music videos and the band taking their energetic live show on the road.